Thank you so much to everyone who supported our annual Companion Dog Show and Family Fun Day at Church Knowle last Sunday. Despite a cloudy start, the sun soon came out and we all enjoyed all that was on offer during the day. With 19 dog show classes, lots of stalls, a bouncy castle, a photo booth and much more, there was something for everyone. Popular attractions returned for the day including Arthur's miniature traction engine and beautiful old London bus belonging to Sir Peter Hendy. It was truly wonderful to see so many families enjoying the day. Two of the most popular classes on the day, The Best MGAR Female and Best MGAR Male were reserved for dogs that have been rescued and rehomed by the charity. The top 4 dogs in both classes have qualified for the best rescue dog championship at Buckham Fair on Sunday 21st August. The winners on the day were Bruce the American Bulldog X Akita who attended the event with his owner Bradley Barton and Candy the American Bull Mastiff X who attended the event with her owner David Evans. Oakley the Retriever won Best in Show with his owner Lynne. It was fantastic to see so many of our rehomed dogs visiting us at the show and entering classes. We are also grateful to Purbeck Agility, for running their Have-A-Go Agility ring and Carol for bringing her team dog dancing display which was a highlight of the day. 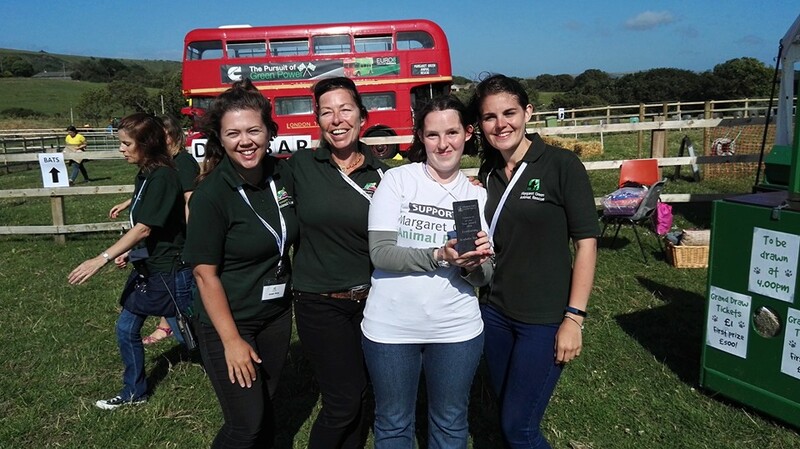 As the dog show classes finished and the last of the Pimms was served, it was time to award the volunteer of the year awards to recognise those that dedicate so much to improving the lives of rescued animals. 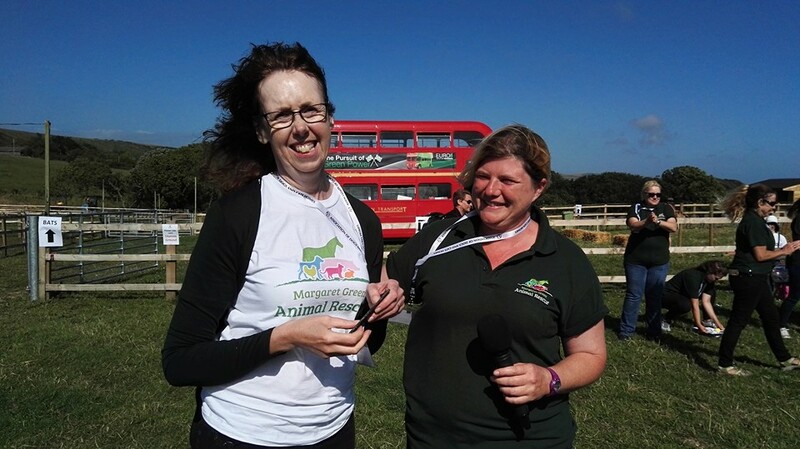 The two awards went to Alison Wigmore, who volunteers in the cattery, socialising the rescue cats and keeping them company while they wait for their forever homes, and Kymberley Richards for her support in the fundraising office and at events. Margaret Green Animal Rescue would like to thank their sponsors: Staglers, Corfe Model Village, Barker and Barker, Allsorts, Purbeck Ice-Cream, Damory Vets, Corfe Castle Village Bakery, Wool and Bovington Motors, The Roman Group, Ray Millard Insurance Brokers, Cleary Creative, Ideal Skips, Paul and Sally Hutton-Cornish, Mole Valley Farmers, Suttles, PURBECK! and Bourne-Romsey Fire Protection as well as all of their supporters, judges and stall holders who helped make the show a day to remember.